Relationship Difficulties Due to Deficits in "Theory of Mind"
"I have been married to my Aspergers husband for 17 years of emotional hell. I have not had any physical touch for 10 years, no hugs, kisses, hand holding. I am completely alone in this marriage. No emotional support and raised 2 kids who felt completely rejected because of him. He doesn't support his family because he is a droid …looks like a regular person on the outside but empty on the emotional scale, it just doesn't exist. I now understand that what I have called "socially inappropriate behavior" has a name called Aspergers. I now understand that his brother and mother also share this diagnosis. The behavior I have been exposed to during our relationship has been devastating and painful. I have come to believe that my husband does not love me. I began drinking to be comfortably numb and what he did and said and didn't do didn't hurt so much. I entered AA over a year ago and believed him when he said I was an alcoholic. I thought it would solve all of our problems – but it hasn’t. Still at square one." I'm not sticking up for your husband here. He will have to face the consequences of his behavior just like everyone else does. But, you need to understand the difference between (a) blatant, intentional disregard for others' feeling versus (b) difficulty empathizing. Empathy can be defined as understanding the emotional makeup of other people. It is a core component of emotional intelligence and helps us to develop deep levels of trust. Unfortunately, many adults with Asperger’s (AS) or High-Functioning Autism (HFA) do not seem to resonate very well with the experiences of others. While they may understand others’ circumstances, they may not have the necessary emotional response. The Aspies' solitary lack of engagement with others may develop to some degree into what can be described as apparent selfishness. Your husband may seem narcissistically concerned only with his own needs. However, what is really going on has more to do with deficits in “theory of mind.” Theory of mind involves the ability to attribute mental states to others, and to be able to describe what others may be feeling in a given situation. What if one is unable to link the behavior of others to their inner feelings? Answer: the person can’t understand or predict the behavior of others. How can the Aspie make sense of the behavior of others around him if he doesn’t understand why others are feeling sad, angry, resentful, etc.? And to make matters worse, the person with AS or HFA can’t link his own behavior to the feelings of others so he can be unable to anticipate or predict their response. This is a man who has given up on himself, as so many other autistic men have. If these men could “fix” their theory of mind deficits, most - if not all - would have done so long ago. Instead, they continue to be misunderstood and labeled insensitive, selfish, and uncaring. 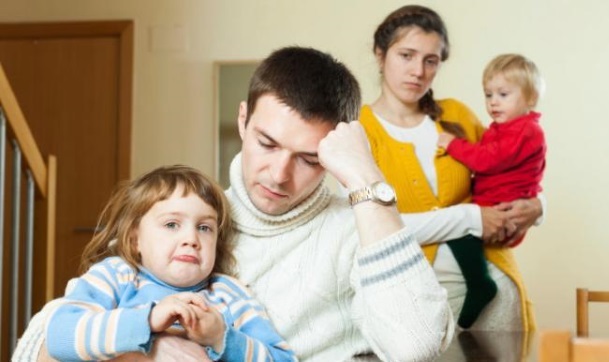 Oftentimes, the result is serious relationship difficulties and divorce. • Anonymous said… i have feels for you and completely understand. I have been married 14 years to my aspie husband. First time i did not aware of his condition, ( and even have specific name for it) even himself not aware of. But last year he figure out himself (no clinical diagnosis) and as years goes by, our relationship is not easy, lot of negativity, criticism, unsuportive behaviour from him for me. I feel so lonely have to cope things on my own, and raise my kids who seems have same behaviour. His family knew this from long time but they ignore it and defend him. I have no emotional support at all. My family is overseas and my husband and i hardly visit them as it is expensive. I have no permanent job, and my husband not even help me to find one for me. He does his own business and i only help when he needs me and he is so perfectionist and fuss, particular on his own way to do things. If i talk like this to others, then they will direct me to the questions: how did we met ? I am not trying to deny this question, but even him self not aware that he has this condition. Same like other people who have illness or disorder, do they always aware of their condition until someone else can notice it ? Or until they can feels themself are having lot of trouble (uneasy) specially in their social life. • Anonymous said… Just putting it out there, but narcissism can get confused for Aspergers. • Anonymous said… Aspergers is something you must read about and study to understand. It is a higher form of Austism. • Anonymous said… Being married to an aspie is very hard. I can relate to the woman who wrote this letter. • Anonymous said… Everyone is our mirror and we can learn from looking into that mirror. Calling him a droid breaks my heart for him. He may not be able to feel her feelings or understand what she needs in a given situation, but as someone else pointed out, he can learn to give this woman what she needs. He can learn to give their children what they need. And the children can learn to understand him better, as well. Understanding others is something people with abilities take for granted. It's able privilege. Our abilities can do us a disservice by allowing us to ignore the plight and the pain of people who are unable to do what we can do. She needs to stop blaming him and learn some empathy herself. She needs to make sure her children become intimately acquainted with empathy, as well. She does her children just as much harm as she believes his Aspergers has done. She chose to stay, she chose to let her children live this way, and apparently she did nothing to learn about or teach her children about Aspergers. She chose to drink. Blaming him for her own choices is just plain silly. This is my opinion based on this woman's very harsh words, but I realize that others will disagree with me. • Anonymous said… Have you been to marriage counseling? Or therapy just for yourself? Honestly, it might help. • Anonymous said… Honestly my hubby is the same way, but marriage to my hubby has been very fulfilling. He may not be physically or emotionally available but he says he loves me in other ways. In his own ways, the world is not made up of ALL the same kinds of ppl *emotionally available*. And also what is it you want them to do? They can't just like a switch turn on emotions. We've been married 21 yrs and I don't expect things from my hubby that he just can't give. Because he just can't feel emotions, and he falls into his own depression because he doesn't know why or how he just can't feel,and he struggles himself with feeling like I need or want more, but Blaming him isn't the way to go about it, I find fulfillment in other things, we are best friends,we go on long rides on our harley, he buys me those stupid little things he knows I love *my favorite granola* he's always home and comes to bed every night, he shares his food with me and let's me steal drinks from his cup, he gives hugs on occasions and kisses. I find it horrible that anyone could blame someone who can't help who they are, because it's just who they are. And you either love them or you don't, you either stay or you leave. My wonderful hubby is the best part of me because he loves me out of the box. • Anonymous said… HOw bloody rude some other people have been. Its never just as simple as that, especially when you have spent 17 years with someone and have children with them. OP- there is a huge difference between him having AS and him being abusive. I believe his behaviour in regards to him blaming your alcohol usage is abusive. My advice? You deserve to be happy, as do your children. Leave him and find someone who will care for you and demonstrate that love. • Anonymous said… I find this society difficult because we have it drummed into us that we shouldn't treat people differently because they have a disability however you can't leave an unhappy relationship because they can't help it. I feel that more people will feel stuck unhappy because of this in between mentality. OP he may not be able to help it, but your expectations when you married him are not being met, and it's ok not to be ok with that. You don't have to blame him or yourself but whether he had a diagnosis or not, sometimes people don't grow together the way they expect to and you're allowed to feel unfulfilled. • Anonymous said… I was thinking the same thing, Jennifer. I have a son who is an Aspie and I would think she would have noticed his behavior before she chose to say, "I do". • Anonymous said… I'm confused, do people with Aspergers just suddenly become emotionally absent? I guess I'm confused as to how people wouldn't notice this when they are dating and considering marriage. I'm not trying to be snarky in my comment I really just simply don't know. • Anonymous said… It is a very, very difficult problem sometimes... Not all people with Aspergus are difficult... But my life has been hard due to my Father having this... He is 92 and was never given any help throughout his life. • Anonymous said… My Aspie hubby is very loving and giving, his main differences is logical order, sensory sensitive, and can seem aggressive due to these. My Aspie neighbour is very affectionate and appreciative gentlemen, his differences is mainly understanding life skills. Everyone is different, but there is always some level of affection given. Get counselling. • Anonymous said… My son is 12 and is Aspergers, I worry on a daily basis that he will grow to be an emotionally abusive partner but then I remember that nurture trumps nature. We will ensure he has the upbringing he needs to navigate life and treasure family above all else. I am sorry for all you have been through but do not be naïve and write people off because of a condition. • Anonymous said… No, this is wrong. Many people with Aspergers display emotions and empathy for others. • Anonymous said… She said that in the last 10 years she's not had any physical touch but has been married for 17. I've heard of many occasions when Aspies have said they could only pretend for so long so perhaps he began shutting down. I feel for both parties involved. • Anonymous said… So you married him because you thought you would 'fix' him or 'cure' him? What you describe is not typical of autism. I think there are issues other than autism. Seek counseling together. • Anonymous said… The emotions are very limited. The mind works different. It is very difficult to deal with Aspergers. Doesn't mean he don't love you. When they reject you can be long term. I worry about my teen and relationships. It is definitely a challenge because of social skills, limited emotionals, obsessions, rituals, or daily habits. Sometimes, they can not help the things that they do. They just do things that we don't understand. Please understand that he will likely never change, even if her desires to. Ladies, know who you are getting involve with pertaining to a relationship. Aspergers is not a bed of Roses and it will never be. • Anonymous said… The one person with Asperger is not the other person. 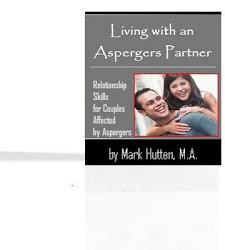 What works in one marriage, and how the husband/wife with the Asperger is in that marriage cannot be compared to how other people are in other mariages because everyone has an own character. My exhusband does not feel a thing inside. He says it every time again. He simply does not feel, except for who he choses to feel and for himself. So when my youngest daughter cries for her daddy, calls him and asks him to please come by he just says, sorry, no can do. He says he has learned how to act by looking at the reactions of other people but when I would lay on the street through an heartattac/accident he would not help me and would just drive further. He has said it time after time, sorry, I know it is very hard for you but when I walk out of the door I do not miss you or the children, I do not think about you at all, no matter the time. And he has proven it time and time again, that he cannot feel much. Like an empty shell, who acts automatic. He falls asleep while talking to me, he does very strange things, he is not capable to care for our children and told me that he only wants to be part when the happy things are happening and does not want to be a parent. And the happy things only before a certain time. His parents and brother are the same, no emotions, except for themselves and for the ones they chose too. For the outside world they seem very nice but inside the house it is cold. It is hard to live with someone like that and I have made the choice to leave him after trying it over and over again because I wanted my kids to have their daddy and I wanted to not leave him alone because he has not chosen to have Asperger. Now he tells me that it is better this way, that I have made the good choice, that he is happy. And I try to have some kind of friendship with him so that my kids can have both parents. I really try. But one thing I have learned is that one can have Asperger and still care about his or hers family. So I will never judge other families cause I do not know a single thing about their life except what I have read which can be read or felt in more than one way. Drinking is not the solution though but I think you allready know that. I feel with, and give you a big hug! • Anonymous said… This poor woman. I can completely relate. Here's a couple thoughts. 1. I think this lady is expecting too much from her husband. He cannot make her complete. He isn't capable and even if they attend counseling, she will still feel like a checklist. BUT counseling will at least give give an answer of where his heart is and if he does love her, he can learn how. My theory is that this cannot happen without a counselor because although she is the expert on herself, he may now be aware of his social shortcomings unless an expert in Asperger's tells him. 2. It's not fair to blame him for the drinking. She made the choice to start (not knowing she was an alcoholic) and from there, her brain took over. 3. Her "emotional numbness" sounds like textbook depression. I want her to know that neither the alcoholism nor the depression was her choice. Why would anybody choose that? Her brain lacks the ability to make the hormone for happiness (the drinking replaces the hormone). It is treatable. I would advise her to start with counseling for herself only and regular exercise and planning some regular fun. She needs to love herself instead of expect her husband to do it for her. I think that once she's done these things, she'll be able to think more clearly and make a good decision to either accept her husband as he is, or leave. There is no right or wrong choice. It's her life, it's her choice. I just want to make sure she's able to think and feel clearly before doing something she regrets. • Anonymous said… This will sound judgemental and I apologise. You've made the way he is turn you into an alcoholic?!! You should have left him years ago. I'm sorry but you should have protected YOUR kids! They are the ones that are COMPLETELY innocent! • Anonymous said… this would have shown through before she married him....so why did she marry him in the first place??? • Anonymous said… We have been martied for 18 yrs there are struggles. He doesnt get some ques but we work together on it. That doesnt mean i dint have days i want to bop him and say really? ?